When PRM team is around you can bet things will get wild. Not just because we always drive at 100%, but also have fun doing it. Krystian and Chris started rallying as a team in 2010. 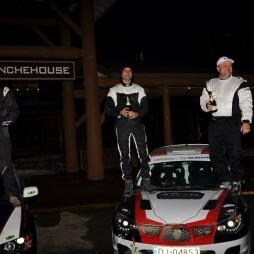 Together they won national event, multiple regional rallies and three championships in two wheel drive class. They loved racing in 2wd, often beating more potent 4wd’s but it was time to move up and try new challenges. From the first start in open class they start stirring stuff up, always in the fight for the podium finish. The boys not only drive the stages but wrench together on the car. All the work and maintenance including new car build, all done at PRM Headquarters with the help of a very dedicated crew. Rally was a part of our lives since childhood, for us it’s more than just the sport.